An intense, high-powered performance from Stevie Ray’s early days, featuring Testify; Texas Flood; Wham! ; Pride and Joy and his fiery interpretation of Jimi Hendrix’s Voodoo Chile (Slight Return) . Also includes a 1999 interview with Double Trouble. 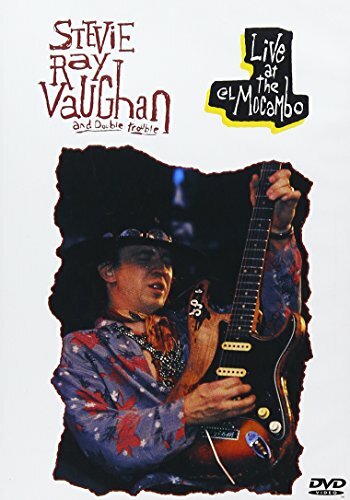 1983/color/63 min/NR/fullscreen.In 1990, Texas bluesman Stevie Ray Vaughan was just emerging from a long period in which drugs had taken their toll: the previous year’s In Step album was the first he had made drug free, and the results were a marvel. But then, after sharing a stage with Buddy Guy, Robert Cray, and Eric Clapton, he boarded a helicopter to Chicago. It crashed, and the career of one of the great blues guitarists was ended. This Day On The Web - remember what's important!